If there's one thing we know with absolute certainty, in the coming years terabytes of data will be collected, stored, and sorted across all industries. As Wired's Jessie Hempel wrote -- data is the fuel that makes the Internet work. Whether it's your organization or customers' data, data handling such as storage, security, and easy access is a top priority. Put simply, frequent outages and downtime should be out of the question for your in-house IT. This is where data centers play a major role. As clients and customers are now getting used to accessing information with just a tap of a keyboard or a scroll in their smartphone's screens, a well-maintained data center is the key to accomplishing business growth and scalability. An error 404 or Database Not Found message can be the only difference between a happy and a former customer. Data centers come in all shapes and sizes. The ideal data center for your business will largely depend on the exact nature and specific requirements of your day-to-day operations. Still, there's a general list of key points to consider for anyone who's looking into tapping a reliable data center. 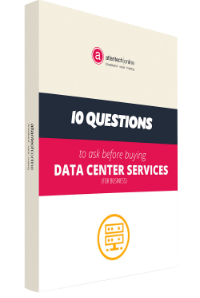 By the time you finish this short guide, you will be savvier enough to make an informed decision about your data center options. The most important factor to weigh in is the location of your data center. Many businesses either go for in-house or off-site options. Both have their pros and cons, as well as corresponding cost considerations. For instance, with an in-house setup, you are assured that your servers are sitting right in your backyard. However, keep in mind that you may have to foot the bill for data center maintenance needs. As for off-site location, it's critical for you to consider whether or not your IT staff can easily visit the data center. And then there's access to power. Also, you have to take into account if the location is near or within earthquake fault lines, and if the transmission network is traversing open areas that are less secure or stable. How reliable is the power source? Are there enough generators in place to provide immediate backup power? What about the facility's cooling systems? Keep in mind that servers tend to generate considerable amounts of heat, and insufficient cooling almost always lead to downtime. Most importantly, are there redundancy systems that can ensure continuous operations during emergency situations? 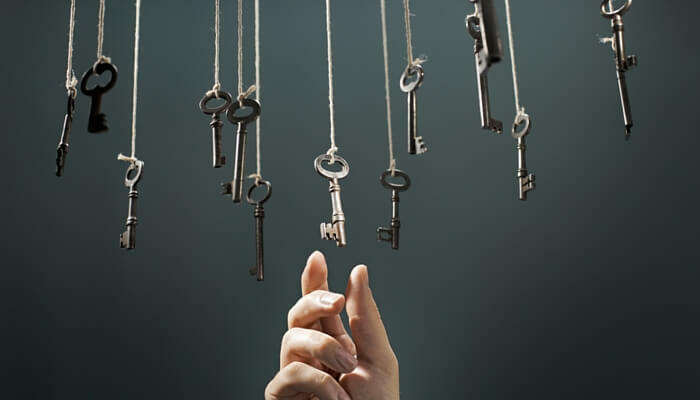 Many companies employ protocols to intensify their cyber security efforts. Essentially, this means protecting one's data center from malicious cyber attacks. Physical security is also just as critical as cyber security. Data should be secure from physical threats such as theft, destruction, and unauthorized access. Thus, it is wise to invest in physical security resources like security personnel, video surveillance, and infrastructure protection. Often, a data center can only be as good as the design of its network infrastructure. Variables such as network reliability, speed, and even security will clue you in on how solid the network is built. It is always a sound idea to opt for a data center that also has adequate fiber capacity for present and future needs. Telecom companies offering data center colocation services are inherently good options because of their own network. As your business grows, you don't have to worry about getting more bandwidth or data storage as these companies can readily provide you with their existing network services capacity. One of the biggest advantages of colocation is the ability to interconnect with other networks. Whether you want to connect with partners, distributors or even competitors for peering, interconnection can bring great value to your business. Before making a selection, learn about the available connectivity options. Is the facility carrier-neutral? Do they have a large ecosystem of customers already interconnecting with each other? It's not uncommon for business operations to have rapidly changing requirements in the course of a day, week, or months. Because of this, it is also critical to pick a data center that allows for flexibility, depending on what is required of your business at any given time. In terms of scalability, growth is inevitable for any organization. With the wealth of data you have compiled over the years, choosing a scalable data center allows you to prepare for the increasing demands of your business without having to stretch your resources too thin. This key consideration is hinged on your data center's capability to respond to all types of emergency. A data center should be able to continuously function and remain unaffected despite disasters or accidents. In hindsight, a robust emergency backup systems include fire monitoring and suppression, power generators, and redundancy systems to guarantee business continuity despite calamities. There can be an enormous difference between a data center's reputation and their marketing image. You need to make sure you know the truth about the quality of service they provide. The good news is that, these days, you can easily do a background check on any data center provider. No data center site is perfect, but with a little research, you can get a good picture of their reputation. Go through online testimonials and feedback from previous clients. By doing so, you'd be able to evaluate closely if a certain provider is the best fit for your business needs. Speaking of business needs, this brings us back to square one. Before you look for a data center, sit down with your team and identify the specific requirements of your organization. By taking note of the variables above, you can narrow down your choices, and hopefully, help you find the ideal data center for your needs. If your organization is still on the fence about deciding on a data center, it's high time that you talk to a trusted expert who has your best interest at heart.